Plans to redevelop the Hollingsworth Arena site have disappeared in a puff of smoke. 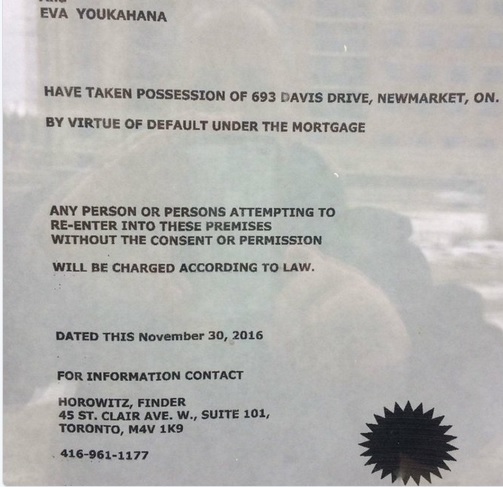 FivefortheDrive today tweets that the swashbuckling developer, Sandro Sementilli, has defaulted on his mortgage on 693 Davis Drive, posting an image of the repossession notice at the property. 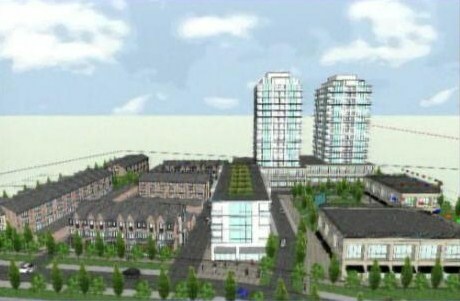 The developer's San Michael Homes website has vanished into thin air. Given what we now know, a signed letter of intent isn't going to be coming any time soon. I blogged about the Hollingsworth saga over a year ago. The presentation and the artwork from the developer's architect Harry Kohn clearly showed two towers. But when Mr Sementilli made his unforgettable partnership pitch to councillors on 20 October 2015 he only ever mentioned one tower. I remarked at the time that, curiously, no-one picked him up on this. Perhaps we shall all be told in due course how and why it all went pear-shaped.